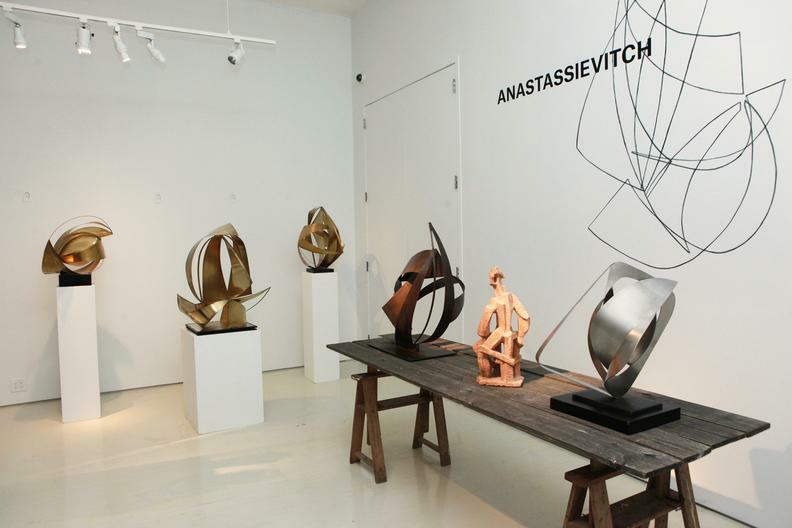 Magen H Gallery is pleased to present the first retrospective of Boris Anastassievitch’s oeuvre in the United States. 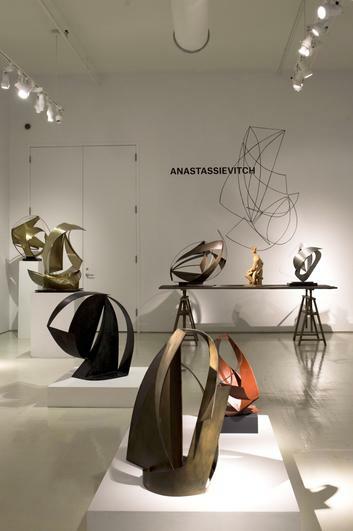 Covering the full breadth of his career with over 40 works, the exhibition features Anastassievitch’s dynamic steel sculptures juxtaposed with a selection of his monotypes and drawings as well as a publication overviewing his career. The exhibition will be on view from November 1 – November 27, with an opening reception at the gallery on Thursday, November 1st, from 6-8pm. Boris Anastassievitch (born in Isére, France) devoted himself to drawing and clay modeling from a very early age. Boris followed his passion for the arts and was given the opportunity to showcase his works for the first time at Galerie Roger, Lyon in 1946. This exhibition, originally intended to last one week, lasted a month given the amount of positive attention and success it received from critics. 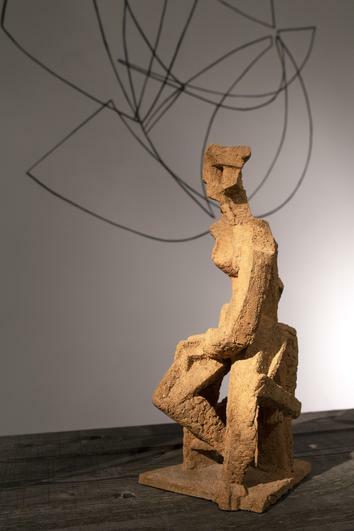 Following this milestone, Boris became acquainted with Ossip Zadkine in 1947 and began tirelessly experimenting in his studio as his student at the Académie de la Grande Chaumiére. Encouraging his students to experiment with materials such as wood, plaster, stone, and terracotta, Zakdine taught his students to interpret sculpture for their pure form and to shift focus away from naturalism. Through this discipline, Boris discovered a new relationship between plane and space and eventually liberated himself to pursue his own artistic path. 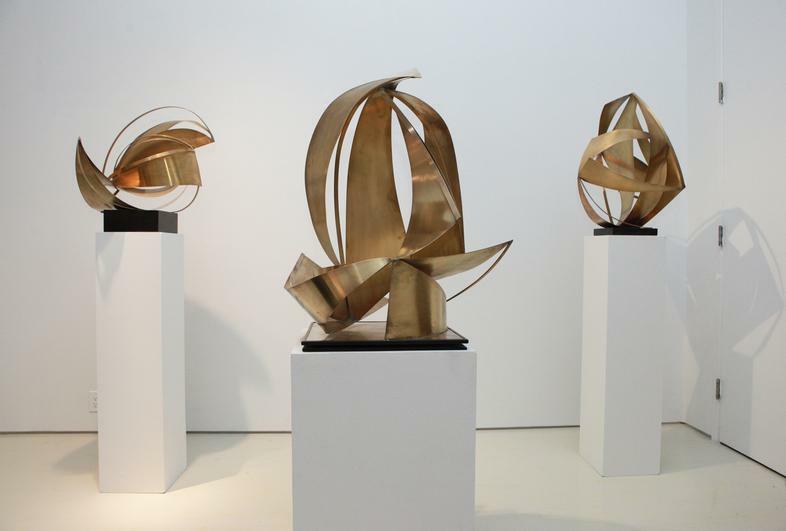 After gaining much success in Paris, Boris exhibited his first solo show at Ulus Gallery in Belgrade in 1953, where he and his wife, Simone Taste, eventually moved. 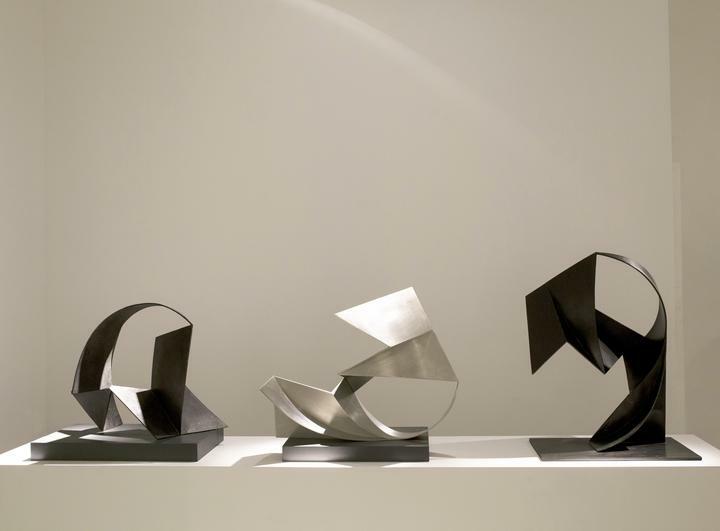 From then on, Boris' works shifted from Cubist influences to expressing the physical properties of materials and the way the forms interact with light and space. Unlike his earlier work, which was inspired by figures and everyday life made from terracotta and stone, his later works embodied curved planes of metal and transparent Altuglas, which appeared to design the void and occupy space in a poetic and balanced way. With light passing through and bouncing off the material, the ellipsoidal form no longer had a back or a front, but became an endless extension of the space. Boris invited the viewer to not only appreciate the form itself but to also consider space as material in harmony with the sculpture. This long overdue and well-deserved retrospective will showcase Boris' masterful combination of light, space, and form. 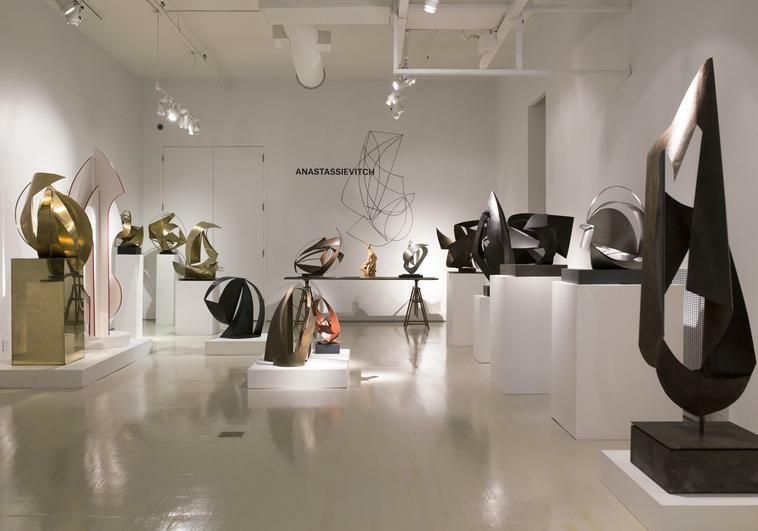 Through the interplay between sculpture and space, this exhibition will bring out the inherent versatility of form in Boris' oeuvre that transcends material boundaries.